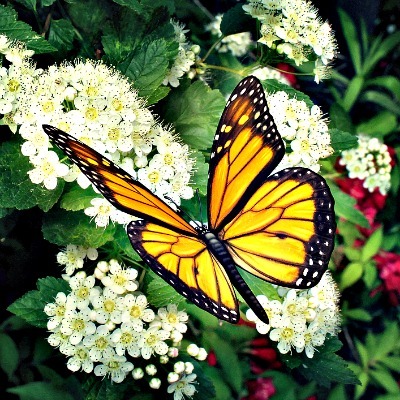 The story of California Monarch Butterflies is a remarkable tale of a determined tiny creature that travels more than two thousand miles to find food and shelter, and they love the tiny victorian town of Pacific Grove at the very tip of the Monterey coastline. 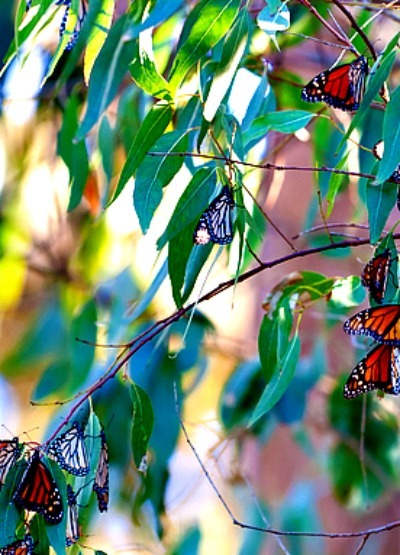 These butterflies travel in swarms to the coast of California to seek warmth, protection and the elusive eucalyptus trees that flourish here in the town that affectionally calls itself Butterfly Town USA. If you plan your visit well, you will likely see upwards of thirty thousand of these little guys in the Pacific Grove sanctuary created for them. As it begins to get colder in the California Sierra's and in Colorado's Rocky Mountains, in late September or early October, these California Monarch butterflies that are four inch wide featherlight creatures are reminded by the angle of the sun and diminishing daytime light that it is time to return to warmer climates. How Did These Thirty Thousand Butterflies Decide On Pacific Grove California? The Australian eucalyptus tree introduced into the California coastal area back in the 1800's. The slightly unusual nature of this tree is that it produces nectar during the winter just about the time that these weary travelers get hungry. The trees also provide shelter from the winds that are common in this part of the Monterey Peninsula. The Monarch female is capable of laying hundred of tiny eggs along the bottom of the milkweed pant where they will hatch into caterpillars that begin to fatten and grow to to a couple of inches long. The milkweed plant also offers these little caterpillars a unique gift as they begin to grow...a chemical in the leaves that most predators dislike. As the caterpillars grow to maturity, they will attach themselves to a branch, hang upside down eventually shedding it's skin and then begins the metamorphosis process where the organs and structures of the new butterfly begin to evolve. 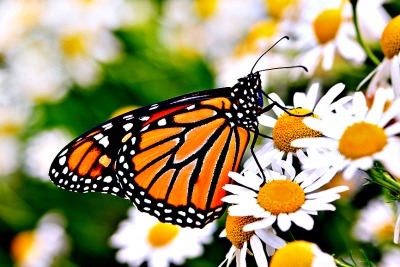 As this evolution develops, the chrysalis begins to take the familiar green appearance and after about two weeks, the emerging butterfly eats its way out of the chrysallis and the brightly colored orange and black butterfly emerges. Th winds are still wet for a few hours and the butterfly is highly prone to predation. After a few hours the butterfly takes it's first flight and the life cycle continues all over. They migrate across California laying eggs along the way and then amazingly find their way back to this same grove of trees where they gather in clusters to protect themselves from predators and the fog. These tiny highly prized specimens of nature have one significant limitation..they can't fly until the temperature gets to at least fifty five degrees. If you would like to see these darlings of the insect world, you might plan a visit to the place in Pacific Grove that is a sanctuary for these creatures. This beautiful display of California Monarch butterflies is open to the public but make sure you don't intrude on their protected solace as the fine is one thousand dollars if you try to touch one. Take Lighthouse Avenue to Ridge Road and park along the street. Follow the white picket fence next to The Butterfly Grove Inn and you will see the tiny park set aside for viewing. If you have been intrigued by these colorful golden winged butterflies you might just learn a little more by visiting the Pacific Grove Natural History Museum just a short distance away. If you get some great pictures of California Monarch butterfly, or want to contribute to the blog for this page, our site visitors would greatly appreciate your stories. So...did you really see thirty thousand of these guys?